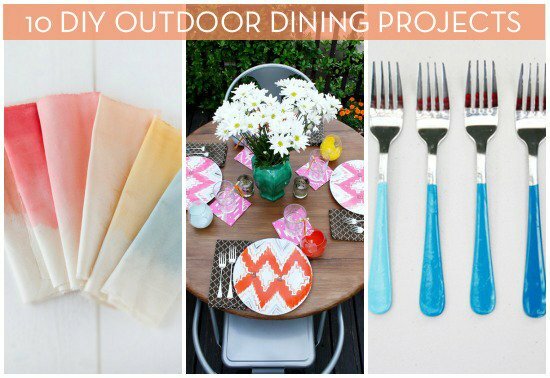 It's always fun to have an outdoor dinner party, but the little details are what make it so special! We've rounded up 10 projects from place settings to decor that you can do yourself to add a personal touch to your party! Look, Thanksgiving deserves its three weeks of November all to itself. Nobody's horning in on Christmas' time. Thanksgiving is a less stressed, better version of Christmas. It's like the delicious appetizer before Christmas. The decorating and preparation is calmer, more understated, elegant, dignified and poised. 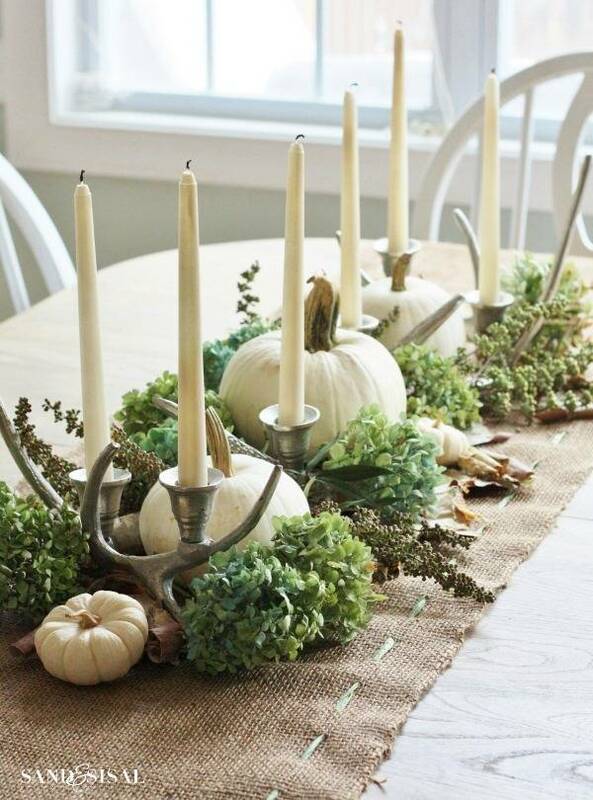 Erinn Valencich over on HGTV shows us that Thanksgiving decor has gone way beyond pilgrims and turkey statues. 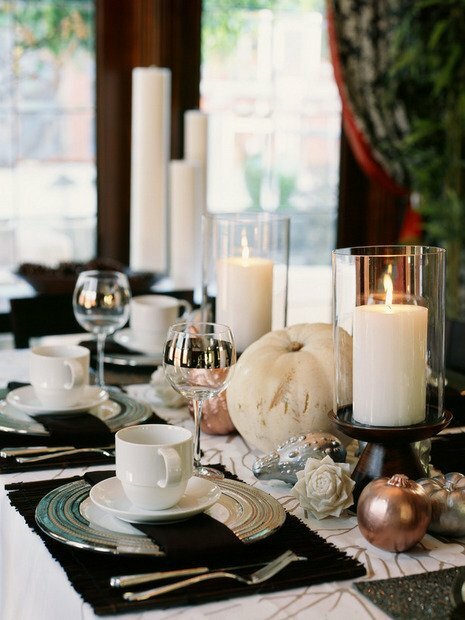 If you want to get in the mood, just take a look at these sophisticated tablescapes that will inspire you to get Autumny creative. I'm doing the top one with the white pumpkin.